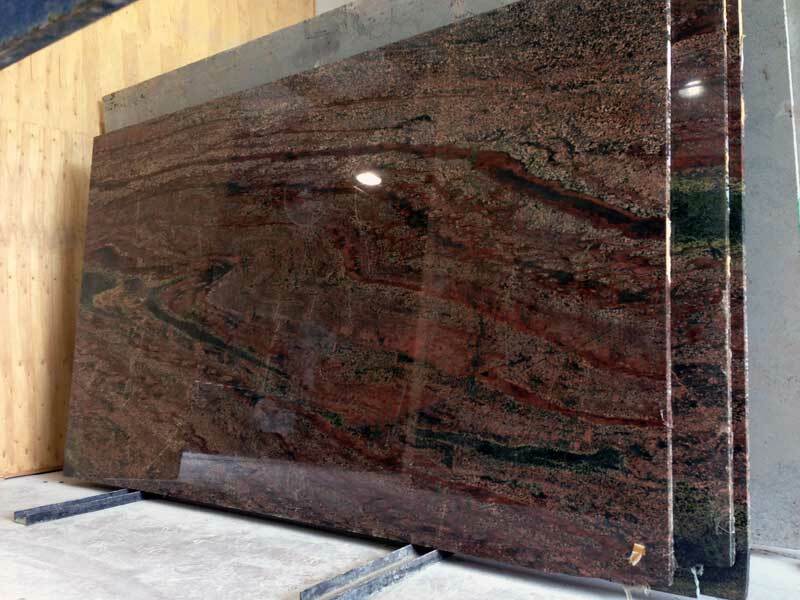 Description: We have added these stunning slabs to our current inventory. Verde Fire Granite from Australia is a striking granite of Burgundy, Golds, Blacks and Greens. This Combination of colors and dramatic waves of movement is sure to bring any high-end design project to life.